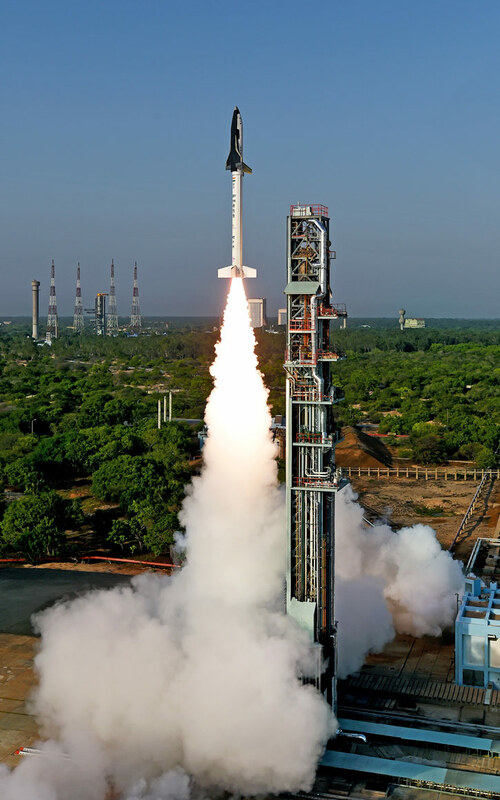 India conducted the first flight test of its ‘Reusable Launch Vehicle’ (RLV) developed by the Indian Space Research Organization (ISRO) on Monday, May 23, 2016, as the 6.7 m’ (22 ft) long vehicle was launched on top an HS9 solid rocket booster. 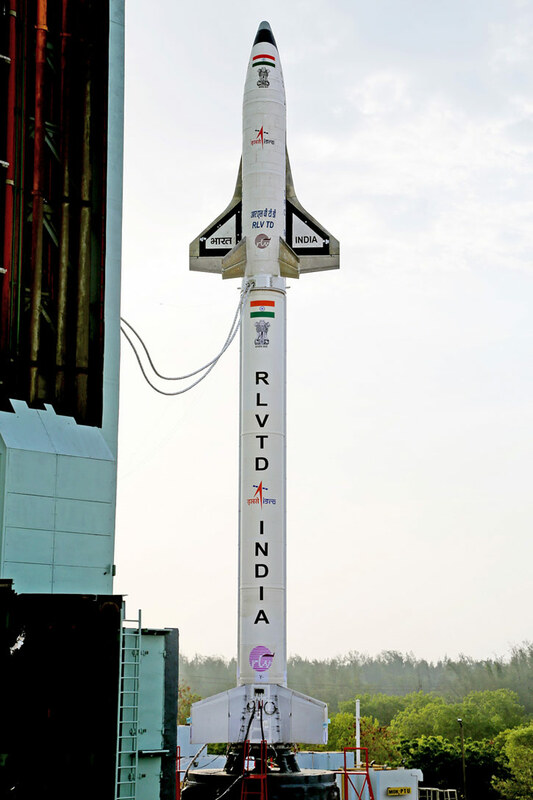 Unlike the American space shuttle or X-37B space plane that perform most of their mission in orbit, the Indian RLV is designed to provide a reusable ‘upper stage’, to assist bringing satellites to orbit. Once completing its mission the launcher will be able to return to the atmosphere and land, refurbished for reuse on new missions. Employing such reusable elements for satellite launches, ISRO engineers’ hope they can bring down the launch cost to $2,000 per kg. An operational version would take 10-15 years to complete. This event was the first successful test of the country’s first winged-body aerospace vehicle. 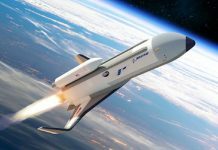 The trial evaluated the aero-thermodynamics the new vehicles develops in hypersonic flight. The test also validated the vehicle’s autonomous mission management and certain aspects of its re-entry phase. Weighing 1.75 tons the RLV used a thermal protection system (TPS) comprising 600 heat-resistant silica tiles and a Carbon-Carbon nose cap to withstand the high temperature during atmospheric re-entry. 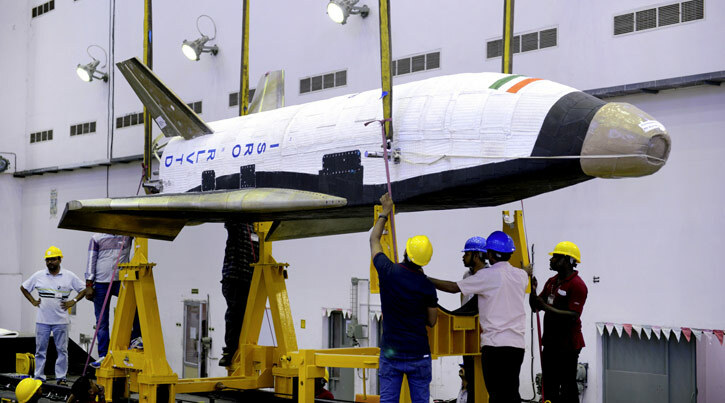 The test flight was launched at seven a.m. from the spaceport at Sriharikota, some 100 km from Chennai. 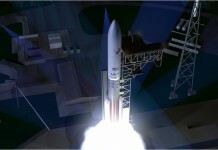 Riding on a booster rocket, the RLV-Technology Demonstrator climbed for about 90 seconds before its burnout. Coasting to an altitude of 56 km, it separated from the booster and inclined further to 65 km. (over 200,000 ft.). The RLV re-entered the earth’s atmosphere at Mach 5 and used on board navigation and employed guidance rules and with thrusters and aerodynamic controls to perform a safe descent, landing at a predefined spot at the Bay of Bengal, 450 km from the launch point, the ISRO announcement said. Total flight duration from launch to landing lasted for about seven minutes. The vehicle made a re-entry into the earth’s atmosphere at Mach 5 (five times the speed of sound), glide and steer by its thrusters and aerodynamic controls in a safe and controlled descent, down to a pre-defined landing spot that simulated a ‘virtual runway’ in the Bay of Bengal, 450 km from Sriharikota. The RLV uses a double delta wing design enables the control of the vehicle in high instability conditions as the vehicle decelerates from high hypersonic to subsonic flight while maintaining the vehicle’s stability on launch when it rapidly accelerates to high speed. Among the new developments introduced in the RLV-TD are the composite movable fin, flush air data system to measure the surface pressure on the aircraft, onboard computer, high-resolution data acquisition system, lithium ion battery, patch antennas and radar altimeter. 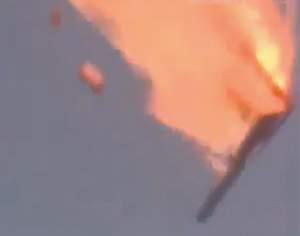 Designed as an expendable demonstrator, the RLV was not retrieved after landing as it was not designed to float. The test was the first of four test flights planned for the RLV Technology Demonstrator (RLV-TD). 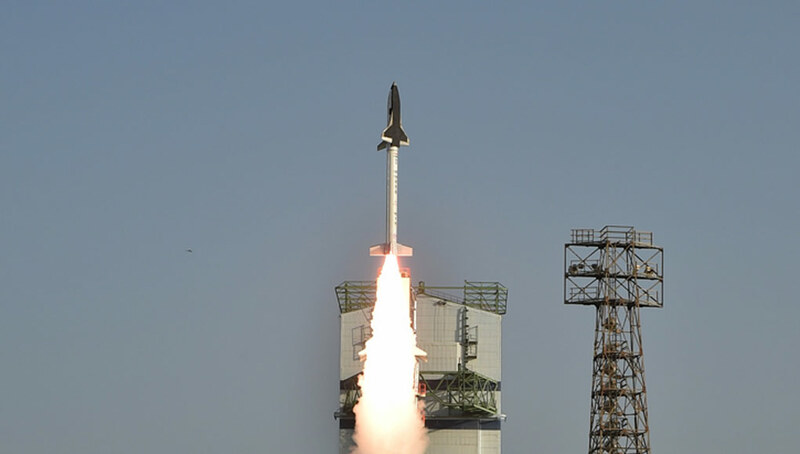 The first was completed on Monday and examined the characteristics of hypersonic and evaluated guidance, flight controls and the landing maneuvering. In the next phase, the RLV-TD is expected to perform landing, return to flight condition and be launched for the following test. 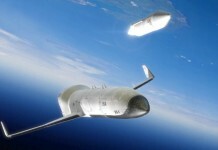 The final flight will evaluate a Scramjet propulsion technology developed for the vehicle. 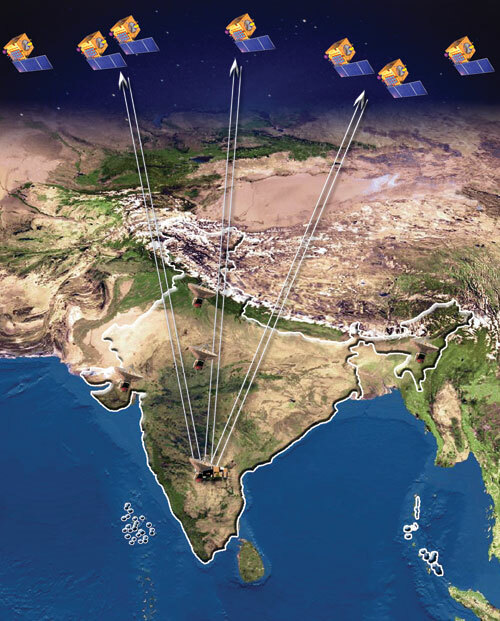 As many as 600 engineers from ISRO centers, National Aerospace Laboratories, IITs and Indian Institute of Science were involved in the development of the RLV-TD over a period of eight years. 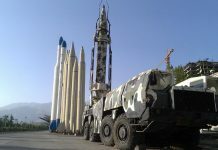 Previous articleSuccessful Indian Missile Intercept was in fact a Failure!